I’m excited to announce that I will be headed to the first Blogher'18 Health in New York next week. As you guys know, since last March my goal has been to create a healthier lifestyle and educate myself. (You can read all about it here.) Even though, I will be in New York. Which has so many amazing restaurants?! Let’s not talk about the amazing mouthwatering pizza and let’s not forget about the famous Jr’s Cheesecake. Yes! 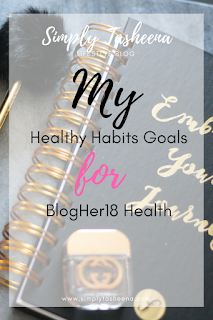 I’m sharing my goals on how I plan on staying on task for those couple of days. Blogger conference can be like a huge family reunion. You’re seeing people that you have never met in person and people that you haven’t seen in years. I have so many amazing stories of sitting near the fire pit and catching up with my blogger friends until the wee hours of the morning. If you know that you’re not a morning person make sure that you get enough rest. I have allocated a certain amount of time that I will allow myself to stay up. My plan is to set reminders on my phone. This is also very important for staying up and working on my to-do list. I want to ensure that my main focus is the conference. Therefore, I will have myself on a schedule. As prior mentioned. My goal for this event is to continue to eat healthily. Even with all of the amazing savory restaurants that New York has to offer. What I love about this conference is that Blogher has a map of some really cool healthy spots that I plan on checking out. I also plan on carrying healthy snacks with me, bringing my water bottle and ensuring that I know my options when it comes to food in the area. I would love to create a list for myself prior to the day with places to eat at for that particular day. If you haven’t attended a blogger conference before it can get really busy. I mean, you're moving a mile a minute to catch up with your blogger finds and to ensure that you have a seat at the next breakout session. So many times you can forget the smallest things from drinking water to taking a moment to yourself to gather your thoughts. What I plan on doing is listening to my body more. When it tells me that I need to rest, I’m resting, when it says that it needs to take a break from walking. I’m taking a break. My biggest tip for you would be to listen to your body as well. 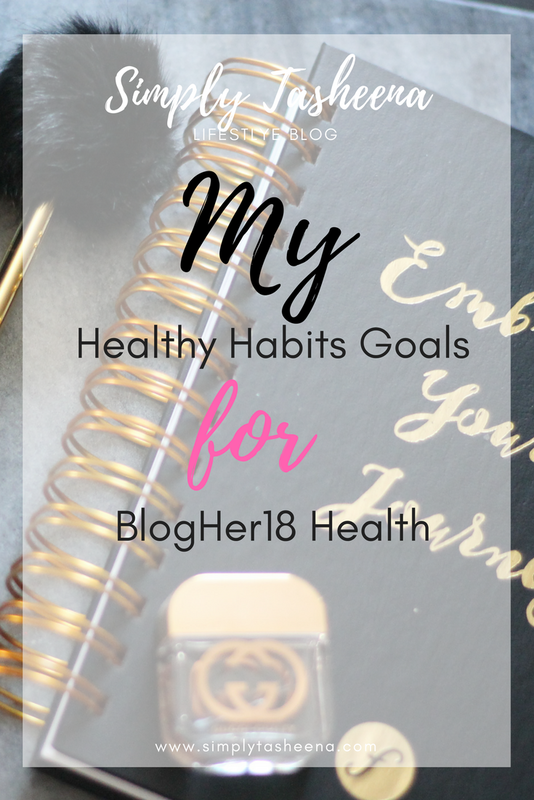 Are you attending BlogHer Health? I had not heard of this event. Sounds exciting though because it's health related. NY does have a lot of tempting food. Congratulations for the opportunity you got. Hope you achieve every thing planned the way u wish to. Glad to know about this event.Yes,it is essential to have a enough rest.Walking is one of the best ways to relax.. I agree with listening to your body, our body will always tell us what it needs.Getting enough rest and sleep is so essential to our health. I had never heard of this until you mentioned it a few blogs back. Sounds amazing. I try to attend more things by attending local ones on the East Coast but otherwise would be there. I hear you on the sleep thing! It's the number one way to stay fresh! The easiest and most enjoyable but we all get it wrong! 4+ Easy Desserts to Make For Valentine's Day! 4+ Salmon Dishes You Need to Try!